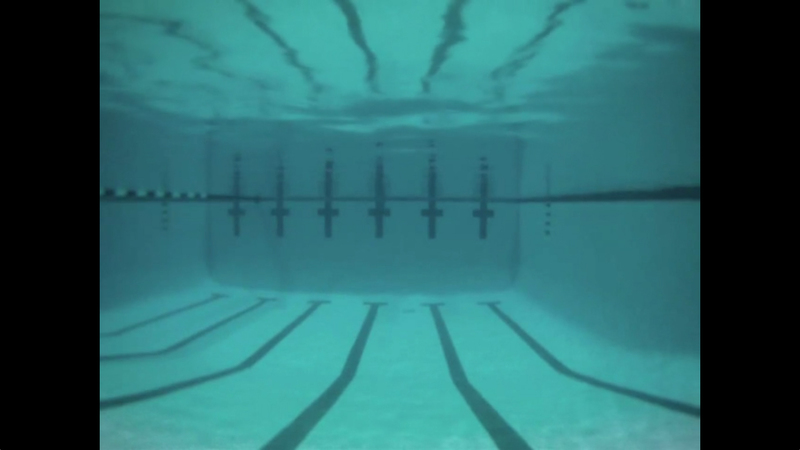 Saturday, June 14, 3:00 – 6:00 P.M.
Greyson Hong, Still from Untitled (Pool), 2011, 6 minutes 14 second (looped). Pool is Greyson Hong’s first one-person exhibition. Greyson Hong is a Chicago-based artist who hails from Atlanta, GA. He holds an MFA in Film, Video, and Performance from Bard College in Annandale-on-Hudson and a BFA in Studio Art from the School of the Art Institute of Chicago. He has also studied at the United States Naval Academy in Annapolis, MD. Recent exhibitions include Slow Gallery in Chicago, IL, Bard College Exhibition Center in Red Hook, NY, and Gene Siskel Film Center in Chicago, IL. 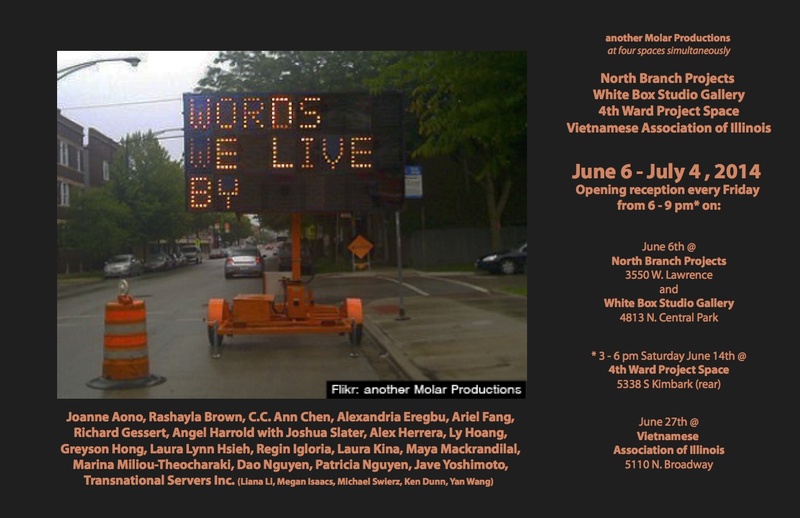 Words We Live By is a multi-venue curatorial project from Molar Productions (Larry Lee, prop.) centering on words as image, object or action, moving or static to reference, translate and/or connect to a sense of self and the larger community within or without the mainstream at five galleries across Chicago simultaneously from June 6 through July 4 at North Branch Projects, White Box Studio Gallery, New Assembly, Vietnamese Association of Illinois, and Fourth Ward Project Space.